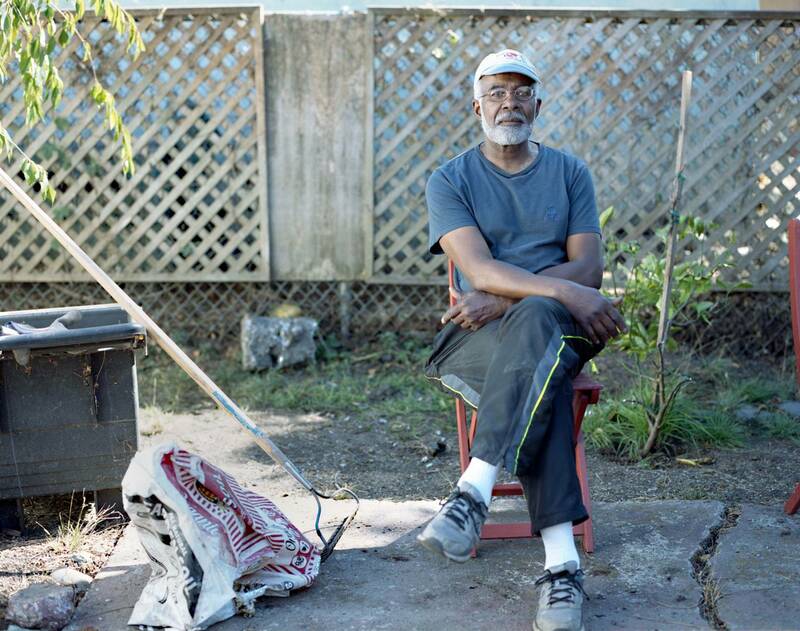 Kenneth Wilkins is walking down the block in North Oakland where he bought a home 42 years ago. As he strolls up to the front of his house, he talks about the single-family home he purchased in 1976. Since 1978, Proposition 13 has played an outsized role in who can afford to live in California. Did it save the California dream, or spoil it? 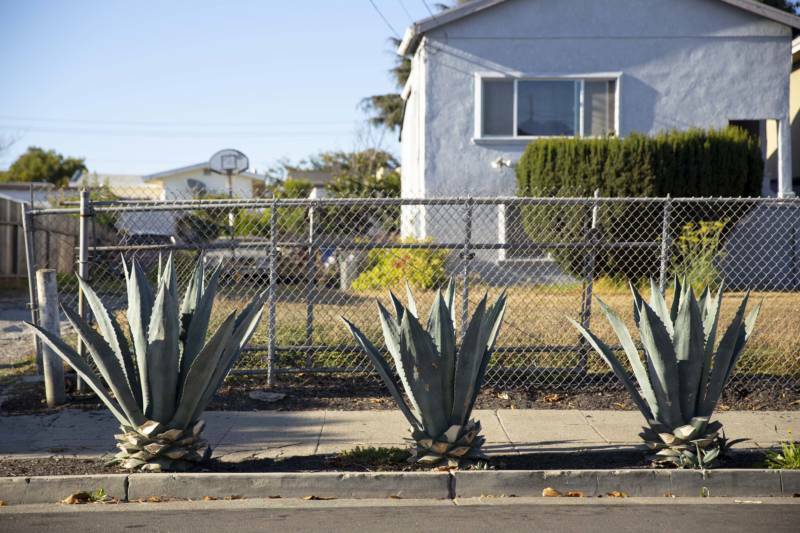 To answer that question, we focused on a single block in a middle-class neighborhood in North Oakland. “Actually this house cost less than this car,” Wilkins says, pointing to a modest white Toyota parked in front of the house. 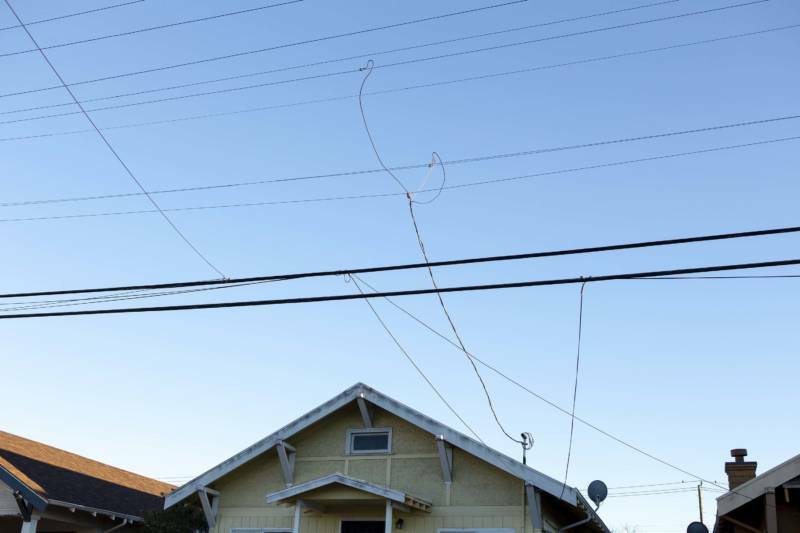 Two years after Wilkins became a homeowner, California voters overwhelmingly passed Proposition 13, rolling back property taxes and putting a strict limit on annual increases. Wilkins isn’t sure, but he thinks he voted for it. There is no question homeowners like Wilkins have benefited tremendously from Proposition 13. According to a 2016 analysis from the Legislative Analyst’s Office (LAO), Proposition 13 has led to vastly different property tax assessments within counties, or even blocks, depending on how long the home has been owned. Our own analysis of real estate data from Zillow found significant disparities across the state as well. On Wilkins’ block alone, we found that if everyone was taxed at the current value of their home, the block would have paid an additional $130,000 in property tax last year. Wilkins’ tax bill, for example, is much lower than a nearby neighbor's in a similar home who bought more recently. That kind of disparity can be found even among homeowners with similar ages, incomes and overall wealth. “Looking at 45- to 55-year-old homeowners with homes worth $575,000 to $625,000 and incomes of $80,000 to $90,000, property tax payments in 2014 ranged from $1,350 to $7,500,” the LAO report found in examining the San Francisco Bay Area. That difference is based mostly on how long a property has been “protected” by annual tax increases by Proposition 13. An unintended consequence is that the longer people benefit from lower property taxes, the harder it can be to afford a new home with taxes based on its new assessed value. Indeed, the LAO report found that “the share of properties sold each year in California has been on the decline since the passage of Proposition 13.” While 16 percent of California properties were sold in 1977-78, this share declined to only 5 percent in 2014-15. California voters have modified Proposition 13 twice since they voted it in. In 1986, voters passed Proposition 60. The measure allowed homeowners over the age of 55 to transfer the assessed value of their present home to a replacement home. There are conditions: The new home needs to be located in the same county and it has to be of equal or lesser value than the original home. Two years later, voters amended Proposition 13 again. Proposition 90 expanded on what Proposition 60 allowed, letting eligible homeowners keep their lower tax assessment if they buy a home of equal or lower value in another county, as long as county supervisors allowed it. Currently, about 11 counties, including Los Angeles, Orange, San Diego and Alameda, permit that lower assessment to be carried into their county. 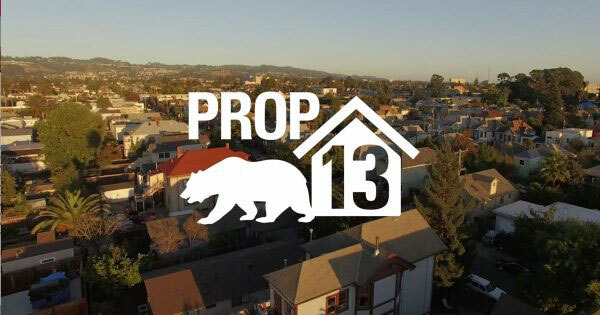 What’s allowed under Proposition 13 is back on the ballot again this November. Proposition 5 seeks to expand Proposition 13 even farther and eliminate the requirement that county officials be on board before a lower tax assessment transfers across county lines. Under Proposition 5, that portability would extend to all 58 counties in California, whether or not local elected officials want it. Under Proposition 5, a formula would be used to calculate the new property tax based on the difference between the current assessed values of the old and new home. It’s an idea that appeals to real estate agents like Linda Eisenman, whose territory is primarily north Orange County, including Brea, Placentia, Yorba Linda and Fullerton. According to state campaign finance reports, the real estate industry has pumped more than $7 million into supporting Proposition 5. Should homeowners 55 and older be allowed to transfer their existing property tax rate — with a possible adjustment — to a new, more expensive home they buy somewhere else in California? Proposition 5 “would allow those people who have been in their homes for many years and have been able to benefit from Prop. 13, it would help them be able to transfer their property tax bases to the next property,” Eisenman says, adding it would be a huge benefit to baby boomers who want to move into a smaller place. “It’s also going to help younger people because it’s going to get some of the baby boomers who are staying put … out of their homes, freeing up their existing home for future homebuyers,” she says. And not incidentally, more homes bought and sold mean more commissions for real estate agents. The measure has plenty of detractors who think Proposition 13 has been bad for California, and Proposition 5 does nothing to address that. “This new measure is the son of Prop. 13,” says San Francisco Assemblyman David Chiu, who strongly opposes Proposition 5. The LAO reports that if Proposition 5 is approved, schools and local governments would lose property tax revenue — over $100 million each per year at first, growing over time to $1 billion each per year in today’s dollars. However, the state would have to replace the $1 billion lost in revenue to schools to make them whole. So cities, counties and special districts would take the brunt of the financial hit if Proposition 5 passes, leaving them less money for everything from public safety to health care and libraries. “This is simply going to allow longtime, wealthier homeowners to continue to receive additional tax breaks while doing nothing for millions of Californians who are struggling in our housing crisis,” Chiu said. This includes people like Bryan Blythe. The 36-year-old renter has lived in a 1,000-square-foot apartment in San Francisco for nine years, all the while benefiting from the city’s rent control law. Now Blythe and his partner are thinking about buying a home in San Francisco or Oakland, if they can afford it. Blythe says he and his partner earn good salaries, and they’ve saved for a down payment. But he says that buying instead of renting will triple their monthly costs for housing. “Mortgage, property taxes, homeowners insurance, HOA fees — it’s gonna be a huge jump for us,” he says. There’s really nothing in Proposition 5 to help wannabe homeowners like Blythe afford their first home. Backers of Proposition 5 say it will help first-time buyers by freeing up homes sold by aging baby boomers. Backers of Proposition 5 hope to convince voters that by giving older homeowners economic incentive to move, young families and first-time homebuyers will have more supply from which to choose. But as almost everyone acknowledges, the real impediment to purchasing a home is cost, which is largely driven by supply and demand. Even if Proposition 5 passes, don’t count on Kenneth Wilkins’ home to be on the market anytime soon.